Conrad Molter, 63, a lifelong resident of Naples died Monday, October 1, 2018 after an extended illness. He is survived by his mother, Dolores Molter; daughter, Laura (Jamie) Mendicino and four grandchildren. Conrad is also survived by siblings: Greg (Gina) Molter, Alan Molter, Mary (Barry) Cohen, Paulette (Peter) Jaouen, Angela (Gary) Turner, Jacqueline Conrecode, and Joe (Victoria) Molter along with 17 nieces and nephews. He is preceded in death by his father, Joseph Molter, and sister, Maria Molter. A memorial Mass will be celebrated at St. William Catholic Church on Wednesday, October 10, 2018 at 2:00 PM. 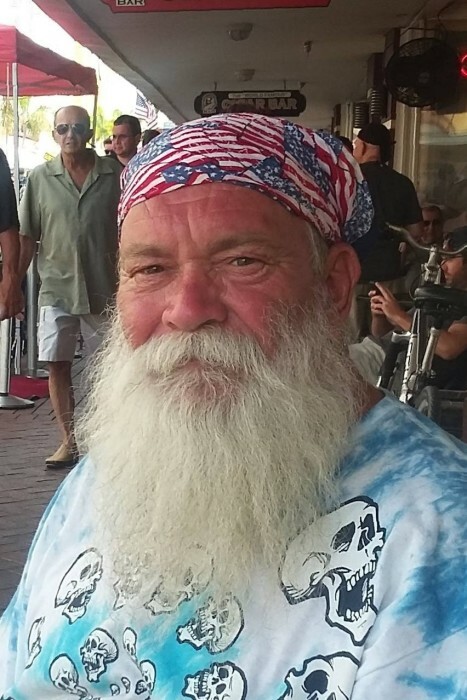 Conrad will be providing beer and wine at no charge at a celebration of his life following the Mass from 4:00 to 8:00 p.m. at the Fraternal Order of Eagles, 4111 Green Blvd., Naples, FL 34116 (No Indoor Smoking). NY Strip Steak Dinner Plate $15 and Chicken Dinner Plate $8 will be available for purchase (CASH Only) - there is an ATM on premise- NO CREDIT CARDS. Music by Dave's Chopper Band. The Molter Family appreciates your love and support for Conrad and hope to see you there to celebrate his spirited life.